The Most Practical Tech Gift Everyone will Appreciate? A Robot Vacuum and We Selected 5 that are Worth Every Penny! Remember when robot vacuums first came on the market several years ago? It really felt like we were living in the future! Now it seems like everything has been automated, but with some added benefits. Back then, the vacuums in particular were incredibly expensive, and they weren’t even the best. It was new technology! It was to be expected. Well, the times have changed, and so has the tech. 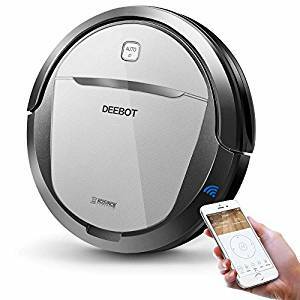 Today, while robot vacuums are certainly more expensive than regular vacuums, they have come down in price from what they used to be. They have also gotten so much better, and because of that, we have become major fans. Vacuuming, for us anyways, is one of the most annoying parts of cleaning! You’ve got to make sure you have an outlet close by, you can get tangled in your cords, the vacuum is heavy, let’s just say it isn’t fun. Wouldn’t it be nice to have something that can do all that hard work for you? Of course it would be! Robot vacuums are some of our favorite tech gadgets, and we think they make for excellent gifts for just about anyone. 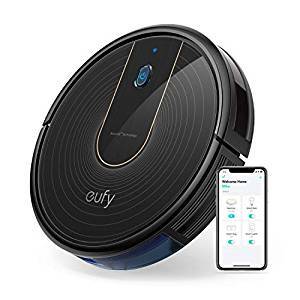 Most people may not feel like they could splurge for themselves on a robot vacuum, but you can certainly splurge for them and give them the greatest gift ever! If you think robot vacuum and you think Roomba, you aren’t alone, but there are so many other options to choose from as well these days! We rounded up our 5 favorites that we think are totally worth the investment, and make for excellent gifts. While Roomba may not be the only brand of robotic vacuum on the market, they are still a popular one, and with good reason! 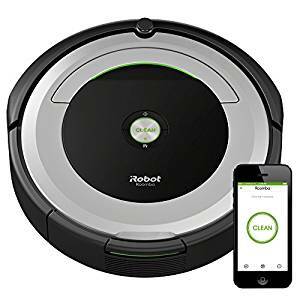 Their products have gotten so advanced over the years, and their iRobot 690 is one of our favorites. This device has WiFi capabilities and an associated app so that you can control and monitor your vacuum right from your phone! We also love that it is compatible with Alexa. Imagine coming home and asking Alexa to clean your floors? We are living in the future, and we love it! It is also a major plus that this vacuum works on a variety of floor surfaces- including carpet and hardwood. 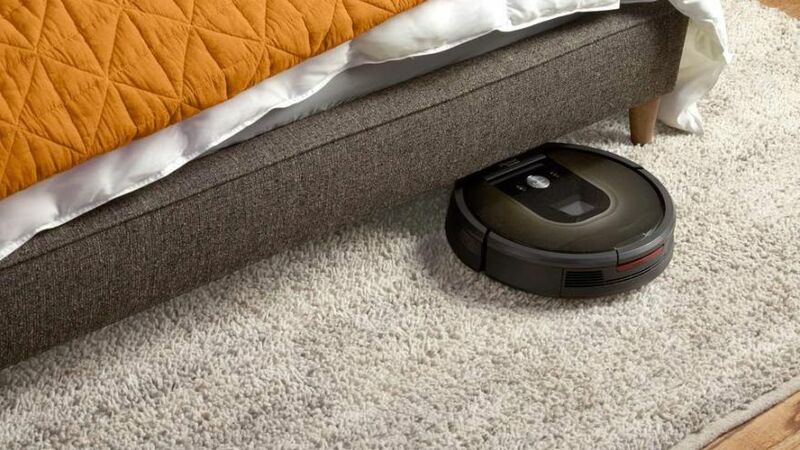 Set the vacuum to start from your phone and it will get to work automatically for up to 90 minutes- covering all of your floors, and with sensor technology to smartly move it around your furniture! Best of all, when it is complete, it will automatically return to it’s dock and start charging. Next on our list is this model M80 from Ecovacs. This too comes with WiFi capability and works with Alexa (you’ll find that with most new models and is definitely something to look out for!) Easily control this vacuum from your phone or from any Alexa device of yours. Alexa can both start or stop the vacuum, making it easy for you to control it if it is running while you are also at home. This vacuum also features smart technology and sensoring to help move it around your furniture and to help it avoid banging into anything. We also particularly love that this model has a large 500 ml capacity dustbin so that it can clean for longer without needing to be emptied. The dustbin is also smartly designed so that you don’t have to worry about it spilling out everywhere when you do go to empty it. The worst part about vacuuming is having to vacuum again after cleaning out your vacuum- but with this vacuum you won’t have to worry about that! Our favorite feature on this model, however, is that there is actually a mop setting. Yes! Use this device to vacuum and mop your floors. You can either dry mop or wet mop with this device, and it is a feature we totally love. This is perfect to give as a gift to anyone who has a lot of hardwood or tile in their house- they will love not having to mop again in addition to not having to vacuum! This next model from Neato is great for numerous reasons. It too is enabled for WiFi, works with Alexa, and has a great smartphone app. What is different about it? The shape of it! Notice that most robotic vacuums are round in design, but this has a D shape. This isn’t a design element- it is intentional to help clean in the corners of your house- genius! This device also uses smart laser technology to actually plan ahead it’s route for cleaning your room. Instead of just moving around and bumping into furniture, it will map your room and smartly navigate it to get your floors perfectly clean. This is truly a smart robotic vacuum, and one of our favorites on this list. If you are concerned about lessening your carbon footprint, you’ll be happy to know this vacuum also features an eco mode which results in a floor cleaning that is more eco friendly, and also quieter! Perfect if you’re shopping for someone who has little ones sleeping in the house. We love the brand Eufy, as they have a whole collection of smart devices that you can use throughout your home and control from one central app. Their BoostIQ RoboVac is another excellent vacuum that we had to include on our list. 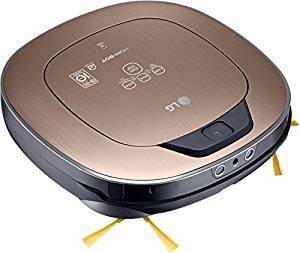 You will notice that this is one of the slimmest robotic vacuums on the market, at just 2.85 inches tall, making it a great option for going underneath furniture and really getting your floors completely clean. So, why the name BoostIQ? This vacuum actually has smart technology (called BoostIQ technology, of course) that will increase suction when it senses that extra cleaning is needed. This device also works great on both hardwood and carpets, and will automatically recharge when done cleaning so that you don’t have to remember to do so! Of course, it is also WiFi enabled and works with Alexa as well. We also think it is cool that you can manually control the device from the smartphone app if you want- use your imagination and you can turn your house into a video game and make vacuuming fun! Finally, our last device to cover is this LG HOM-BOT model. This is another great vacuum that is built to clean hardwood, carpet, and tile floors. 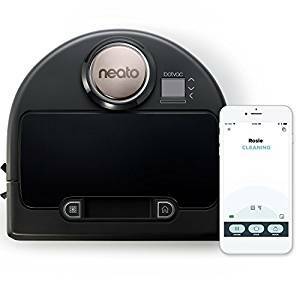 WiFi and Alexa enabled, this is another great robotic vacuum that can clean your floors, no matter what flooring you have! Best of all, this device features an impressive 7 unique cleaning modes so that you can get the exact clean that you are looking for. Their smartphone app also helps you easily control the device, and we particularly like the ‘cleaning diary’ feature that allows you to check in and see which areas of the house have been cleaned. We also love the longer length of the brushes on this device, as it is great at cleaning dust and debris found in tricky corners or near the edges of furniture. This vacuum will get it all! How badly do you want to go out and buy one now? These gadgets are so cool, so easy to set up, and best of all, they work so well! Perfect to gift to a parent, grandparent, sibling, or close friend, trust us. They will absolutely love their new vacuum and will love even more the extra free time they will get back that they don’t have to spend vacuuming themselves! Happy shopping!